For over 20 years, Rockville Imaging Center has proudly served as one of the leading providers of diagnostic imaging services in Montgomery County. Rockville Imaging center is a part of the Community Radiology Associates network of outpatient imaging centers located throughout Carroll, Frederick, Montgomery and Prince George’s counties in Maryland. Community Radiology Associates | Rockville Imaging Center is a full-service radiology center offering 3T wide-open MRI for superior image clarity and more room for claustrophobic patients, CT/CTA, mammography, ultrasound, DEXA for bone density measurement, and X-Ray. We accept walk-ins for X-Ray studies to accommodate the busy lifestyles of our patients. So if you or your family needs an immediate X-Ray for an unexpected injury, no appointment is needed. 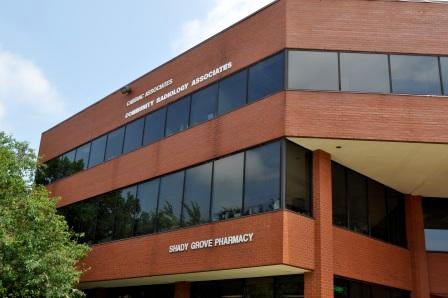 Shady Grove Adventist Hospital is located about a half a mile from Rockville Imaging Center to provide quick and convenient access for patients in need of a radiology exam. Community Radiology Associates | Rockville Imaging Center’s board-certified radiologists have sub-specialty training in a wide range of areas, including musculoskeletal imaging, women’s imaging, head and neck imaging, neuroradiology and more. Our radiologists’ advanced knowledge helps physicians throughout Montgomery County and the surrounding areas provide more accurate diagnoses and improve health outcomes for their patients. Call today to learn more about our services and the convenient appointment times we have available.